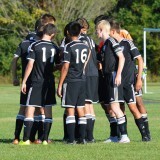 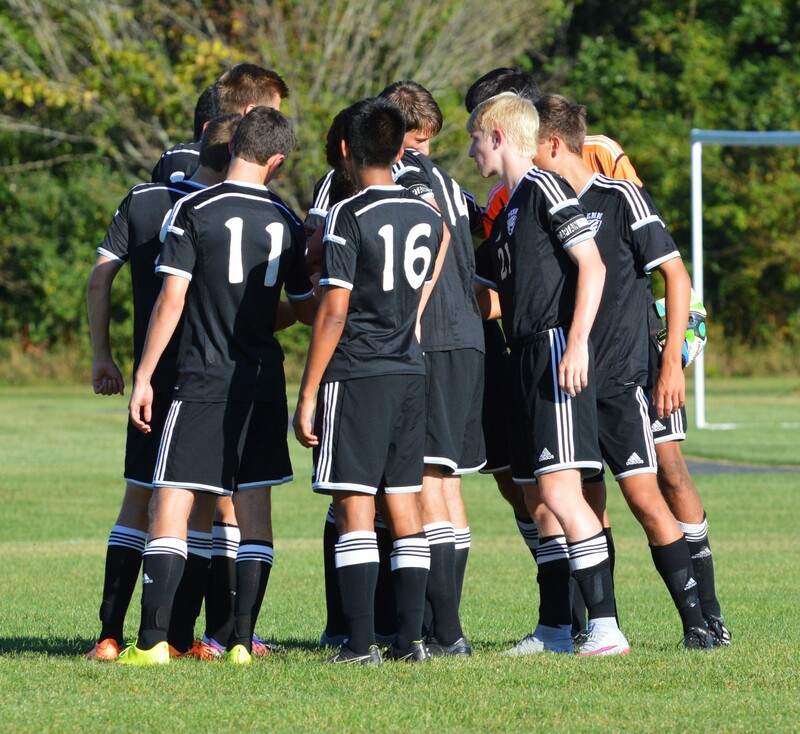 The Kingsmen huddle before the Bremen game. 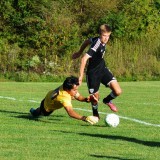 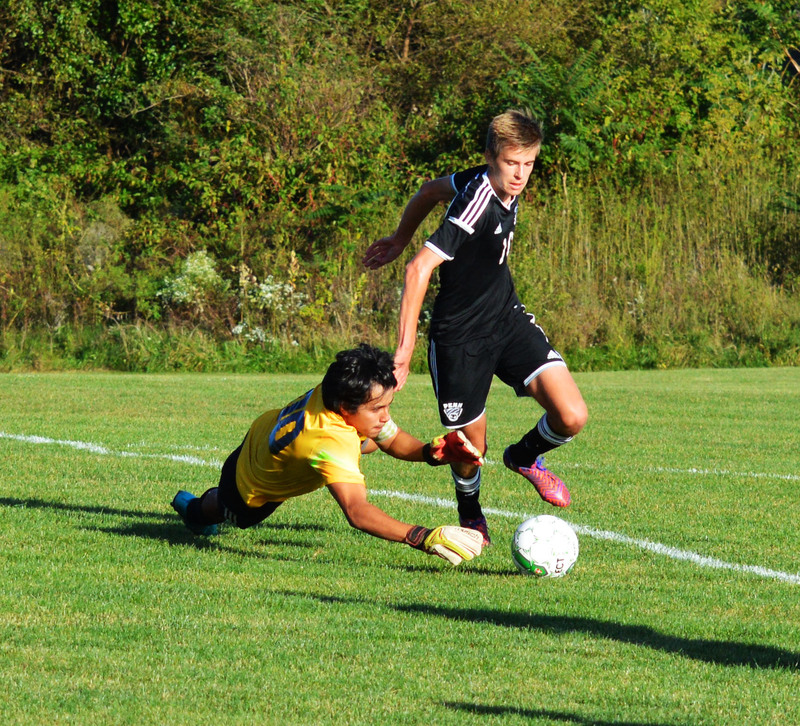 Mac Smith works to get around the Bremen goalkeeper. 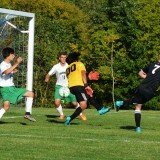 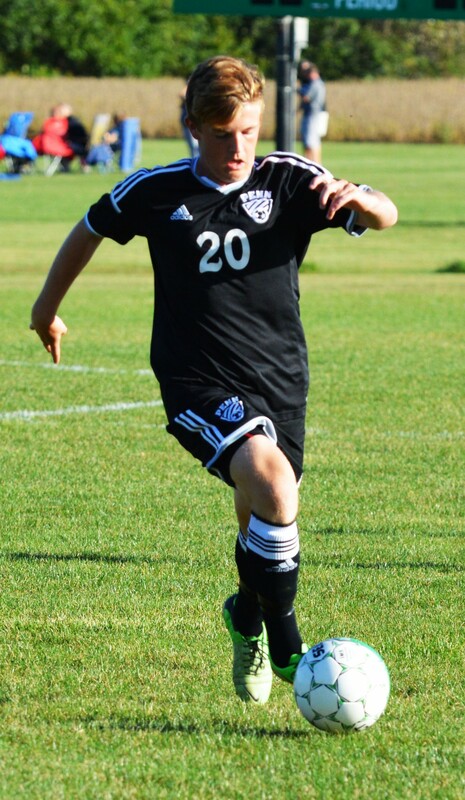 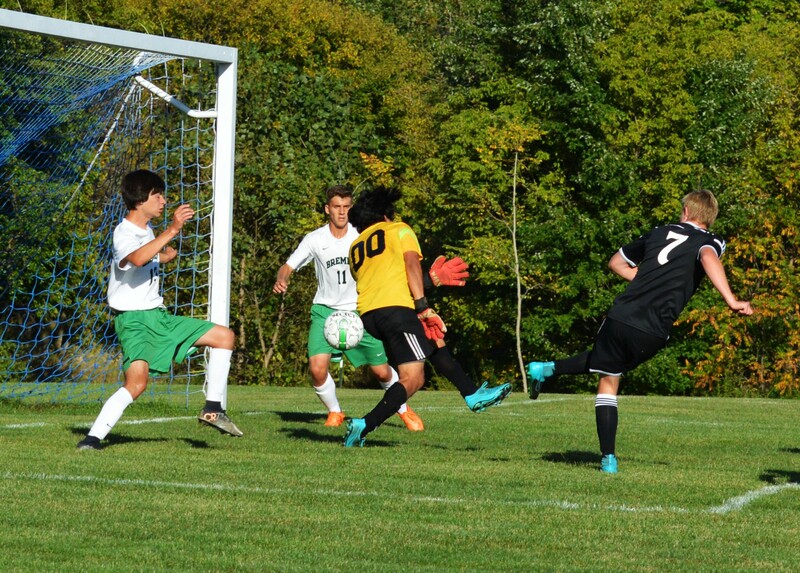 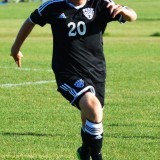 John Graham scoring the opening goal for Penn. 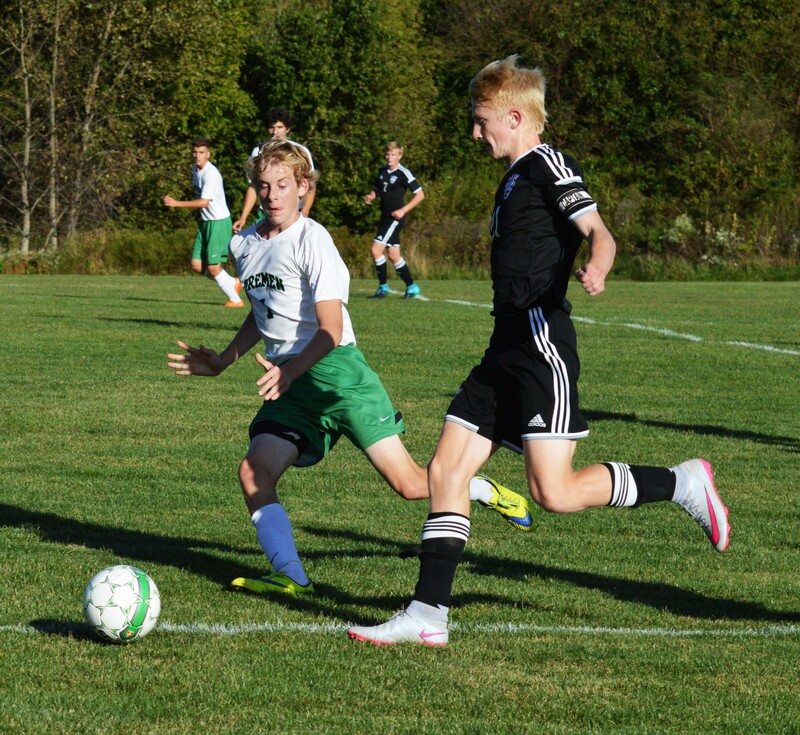 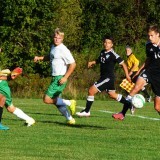 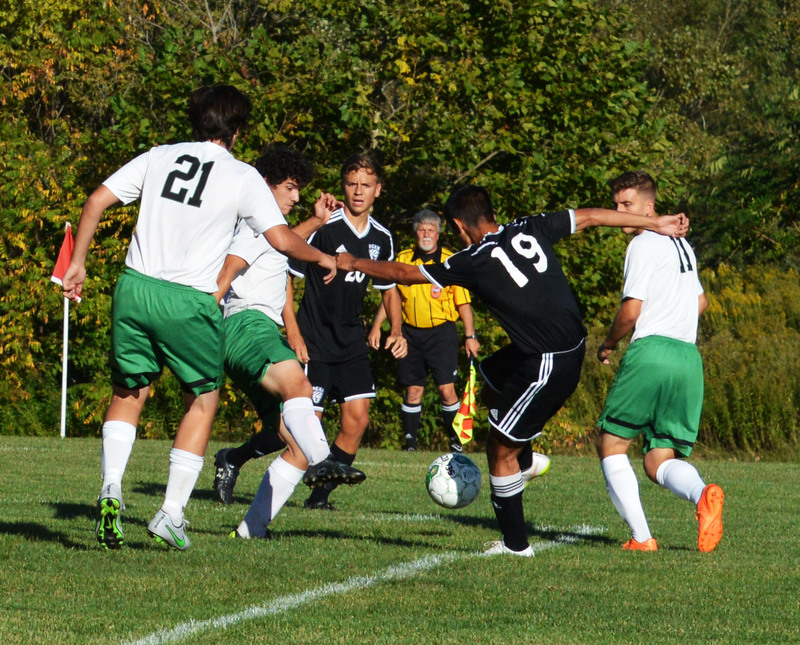 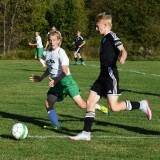 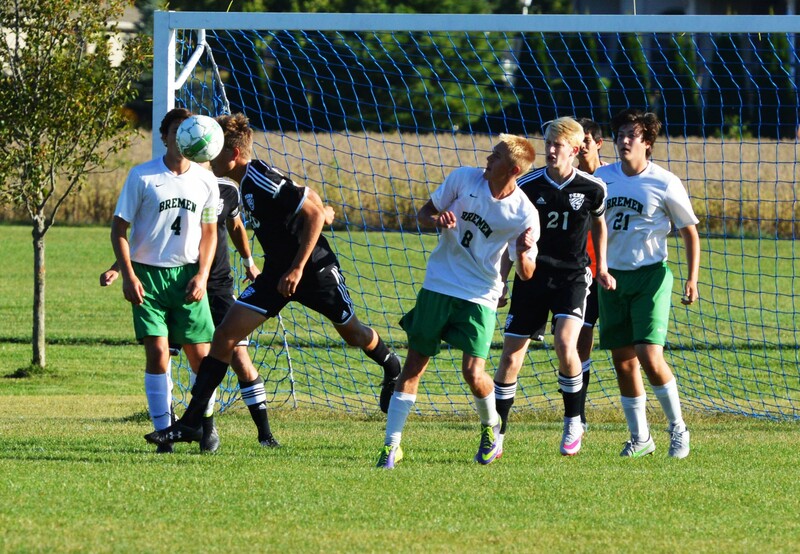 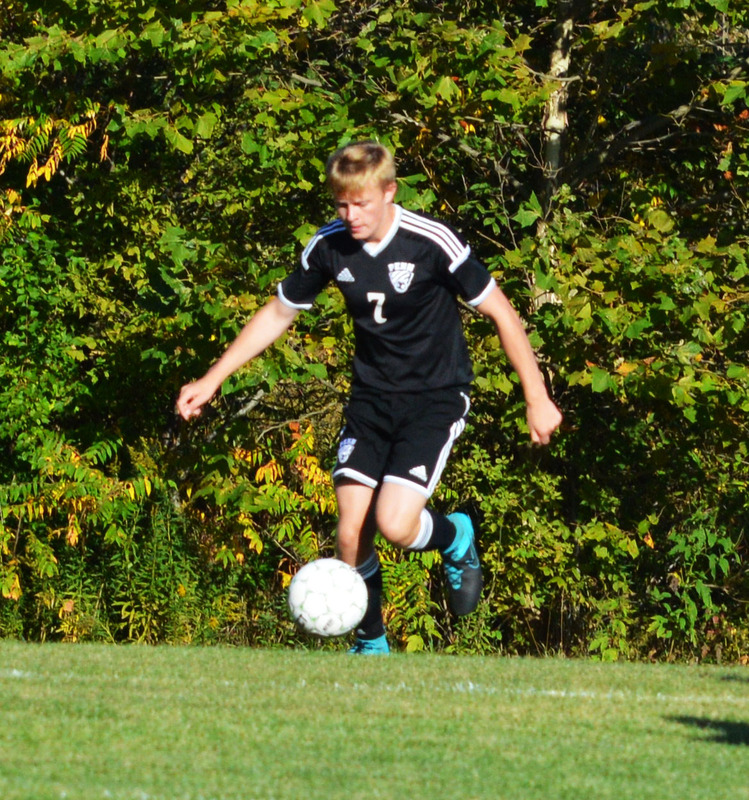 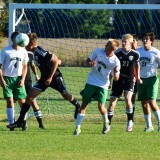 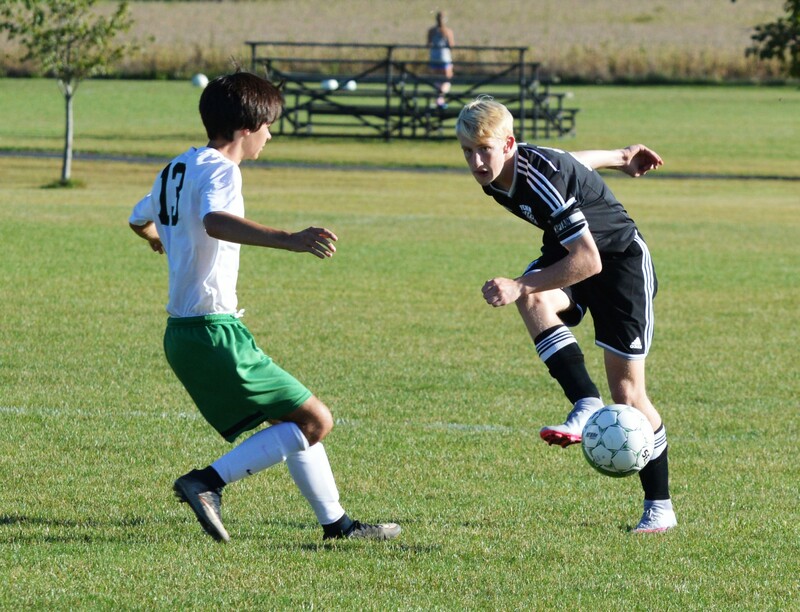 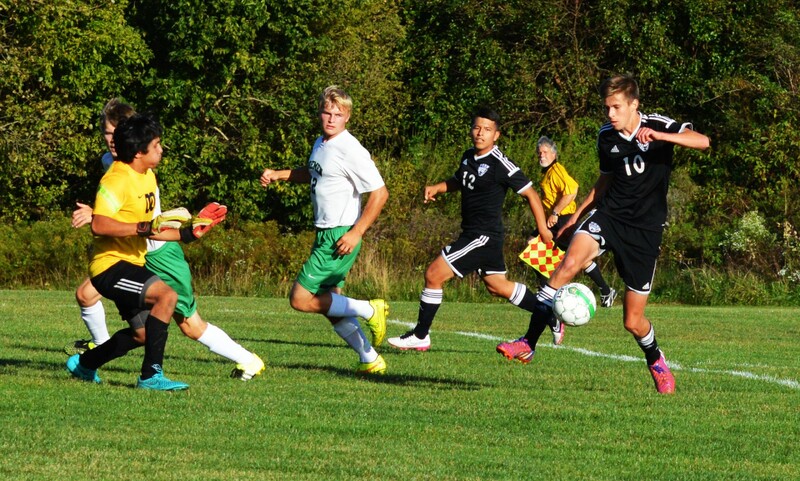 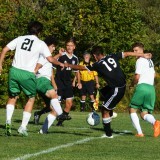 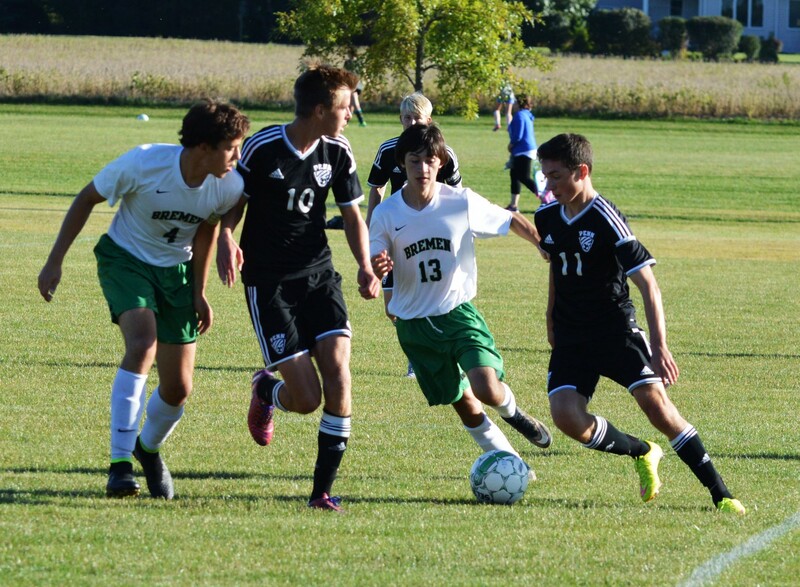 Micah Craig clearing the ball of a Bremen corner. 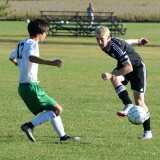 Captain Drew Fulmer beating the defender down the sideline. 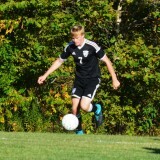 Zack Lopez shooting at goal. 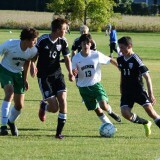 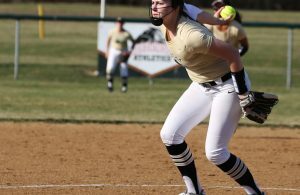 Junior Riley Smith trying to work through a crowd of players. 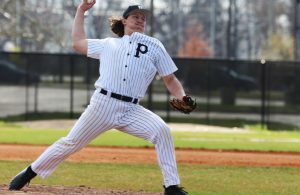 Drew Fulmer starting the Penn attack.